The Low Level Track is an easy walk on a well-formed track with a very gentle slope. 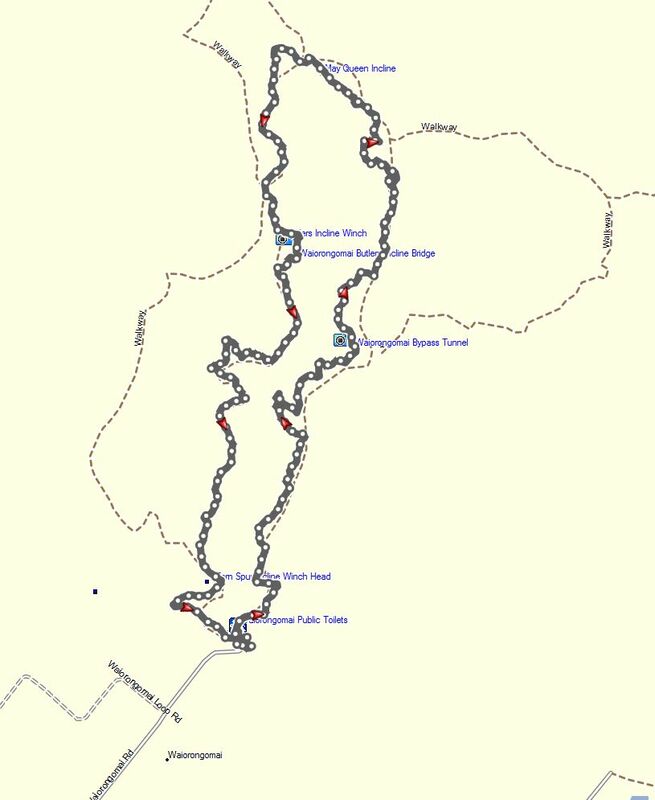 There is a short, steep side track to the remains of the Bendigo Battery shortly before the track joins up with the Water Race Track and a short track to the bottom of Butlers Incline and the Piako County Tramway. 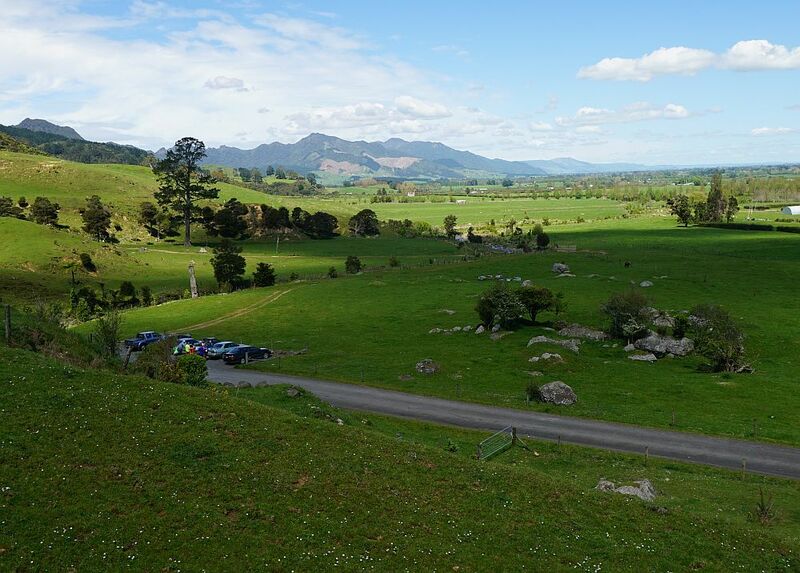 The Water Race Track follows a water race, used to divert the Waiorongomai Stream for use in driving machinery and for extracting gold from the ore. 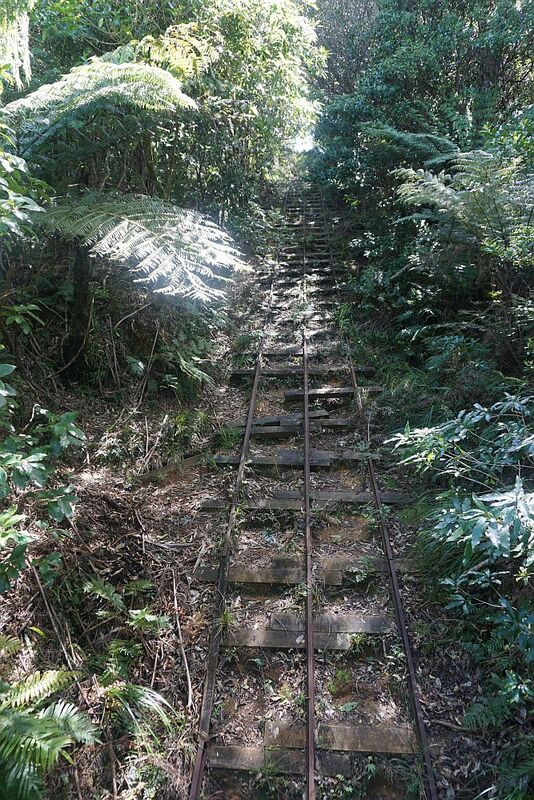 There are two crossings of the stream before continuing on the New Era Branch Track, a steep and rough track which partly follows an old tram incline. There are no remains of the tramline, except for the formed cuttings through which the lines have run. 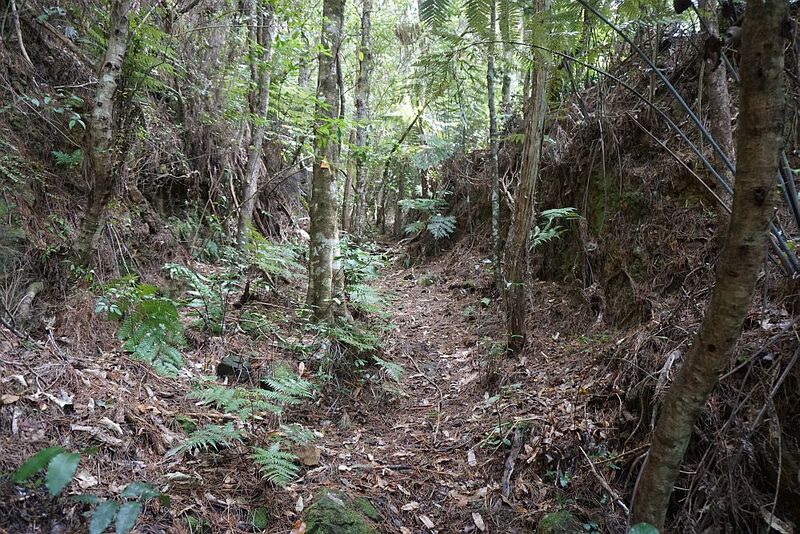 There is also an unmarked and unformed steep side track to the few remains of Fergurson’s Battery, on a flat area next to the Waiorongomai Stream. The New Era Branch Track ends near the lower end of the May Queen Incline on the Piako County Tramway. The tramway will be the subject of another blog entry one day. Heading back towards the carpark the tramway, complete with original rails and sleepers, continues to the head of Butlers Incline, and from here the High Level Pack Track can be followed back to the carpark. 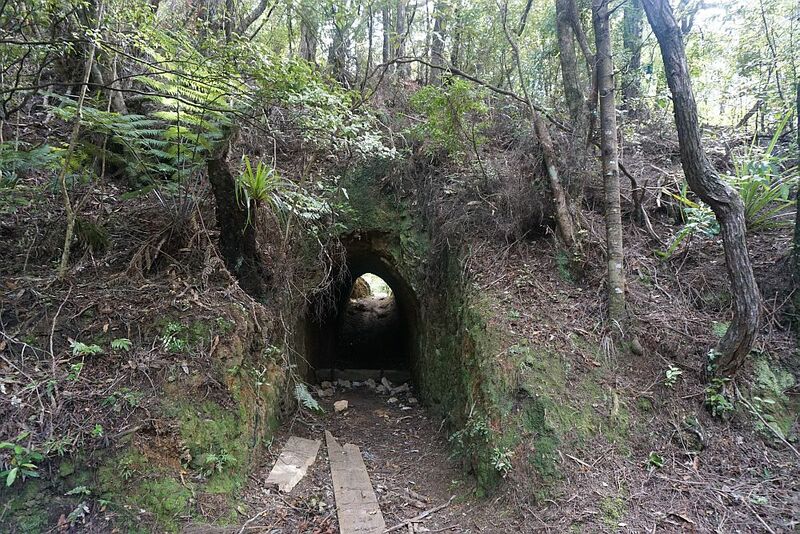 More information about the Waiorongomai Valley tracks is available on DoC’s web site. At the carpark there are also the remains of an old rock crusher, which was used to crush rock from a nearby stone quarry in the 1920’s, after the goldrush had ended. 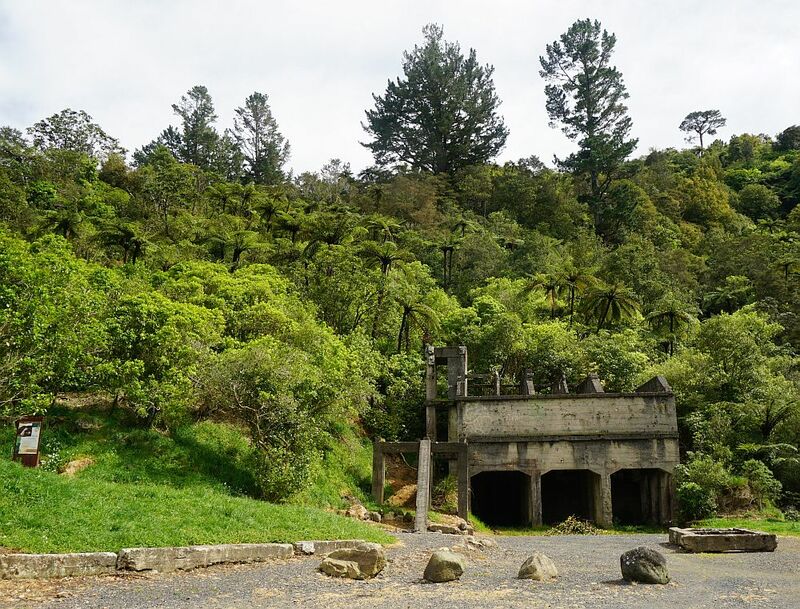 Water from the Waiorongomai Stream was used to drive the crusher, which is located on the site of the Firth and Clark Battery which burned down in 1912. The crusher closed in 1927, due to the poor and varying quality of the rock. 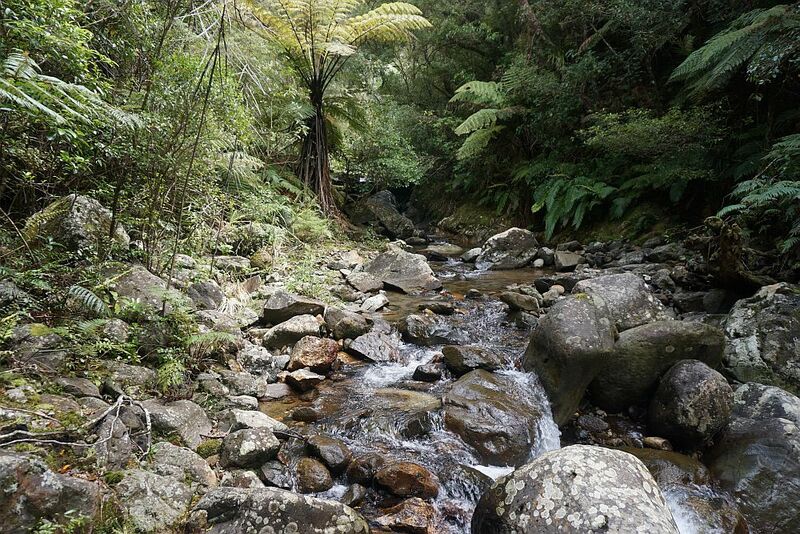 The Waiorongomai Stream near the carpark, accessible on a short side track from the Low Level Track. 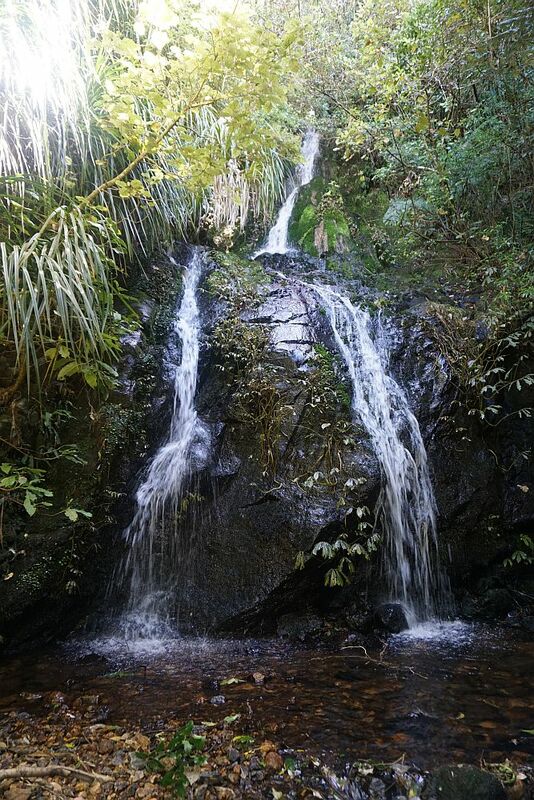 There are several small streams with waterfalls or cascades feeding into the Waiorongomai Stream. Ore supplied to the Bendigo Battery was transported by buckets on an overhead ropeline. To avoid accidents between miners and others using the Low Level Track and the suspended ore buckets a short tunnel was constructed through the ridge. The rope line and a water pipe ran down this ridge. There are a few rusty remains of the pipe, but none from the ropeline. 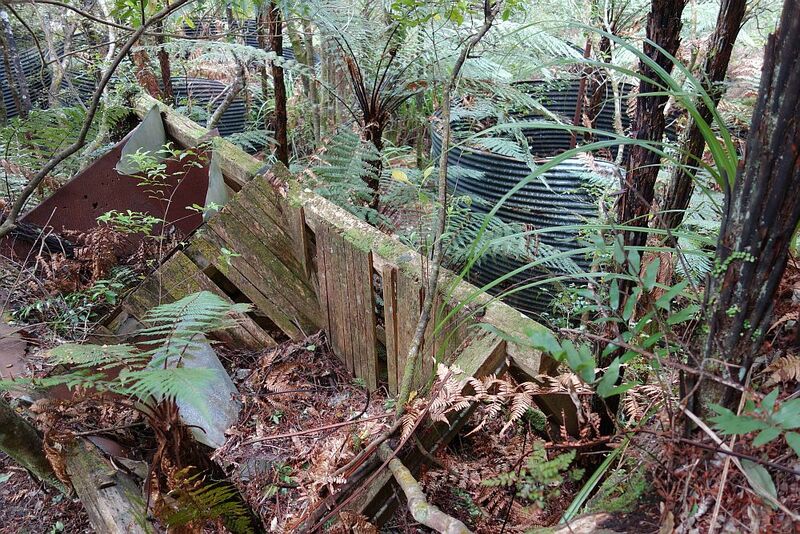 The only remains of the Bendigo Battery are a few tanks used to contain the cyanide and crushed ore, one or two concrete pads, and pieces of rusty machinery. The battery operated from 1911 to 1922, powered by water supplied by the pipeline running down the ridge, driving a pelton wheel. 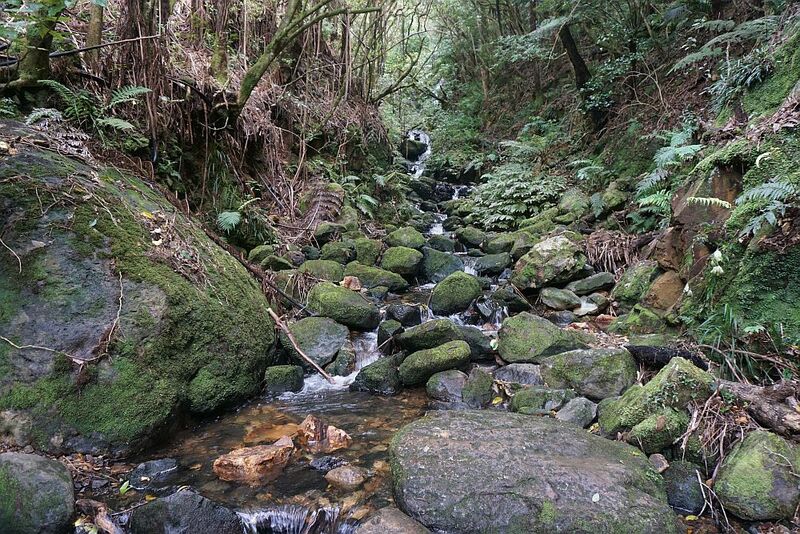 The Water Race Track follows a water race, used to divert water from the Waiorongomai Stream to power the New Era Battery. The battery operated from 1886 to 1892, and no remains are visible, except for the water race. The water race is now overgrown, but clearly visible in places. Here is part of the race, with the track on the upper left of the photo. 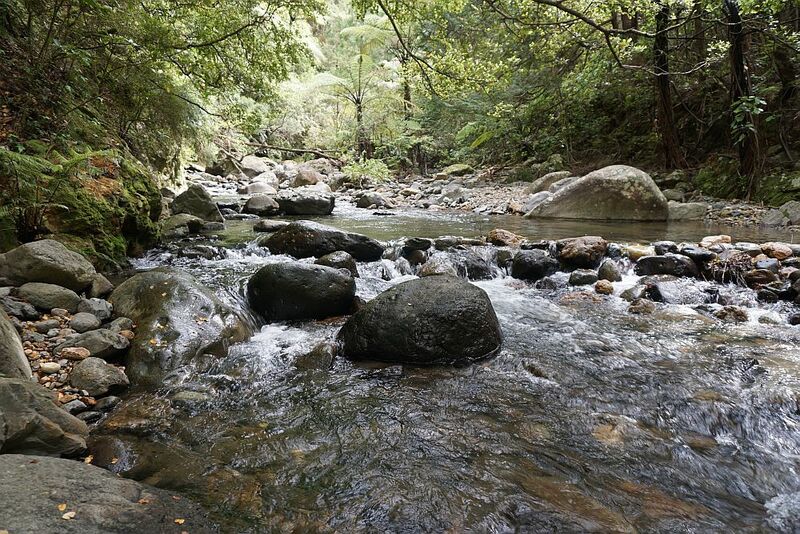 There are two crossings of the Waiorongomai Stream before continuing up the New Era Branch Track. The crossings are not easy, especially after heavy rainfall. 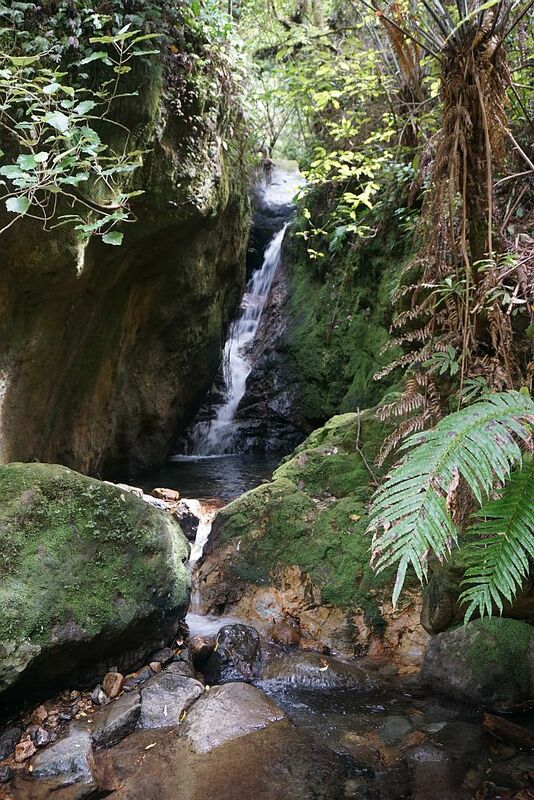 A small waterfall near the second Waiorongomai Stream crossing. 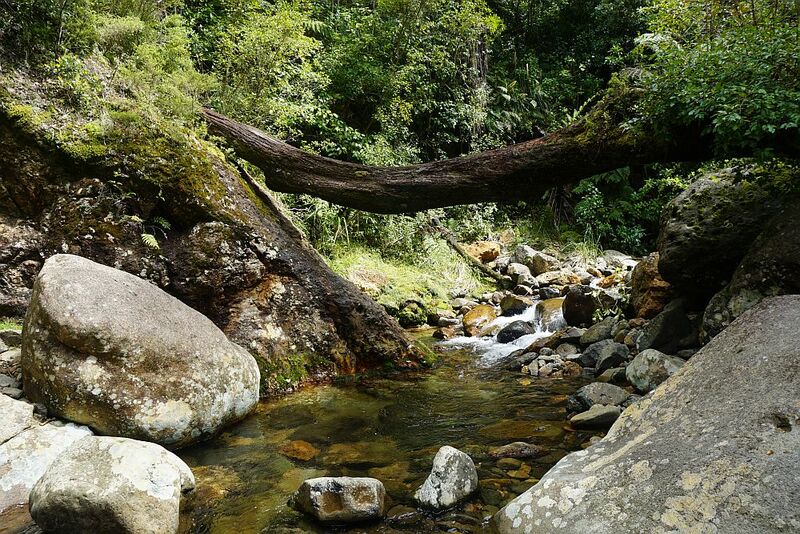 This stream had to be crossed as well, on slippery stones. 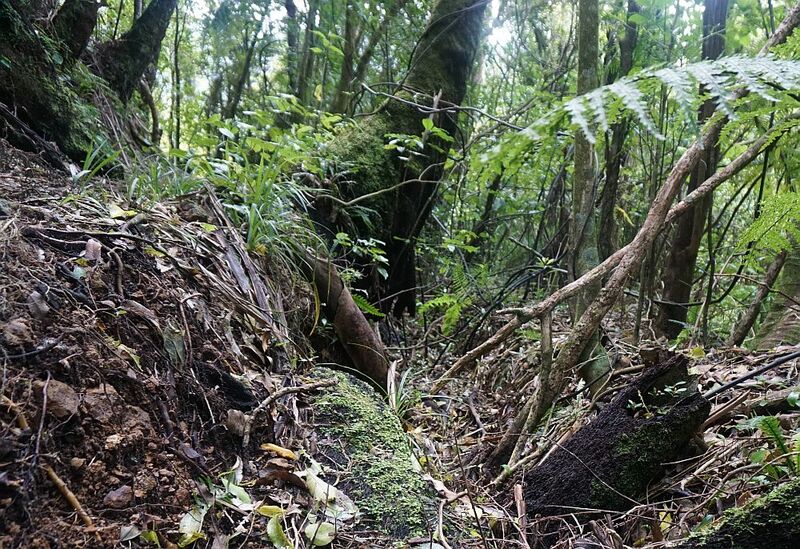 A steep, unformed and poorly marked track off the New Era Branch Track leads to the remains of Fergurson’s Battery, adjacent to the Waiorongomai Stream. There are very few visible remains, but a large rock next to the stream provided a suitable location for a short lunch break. 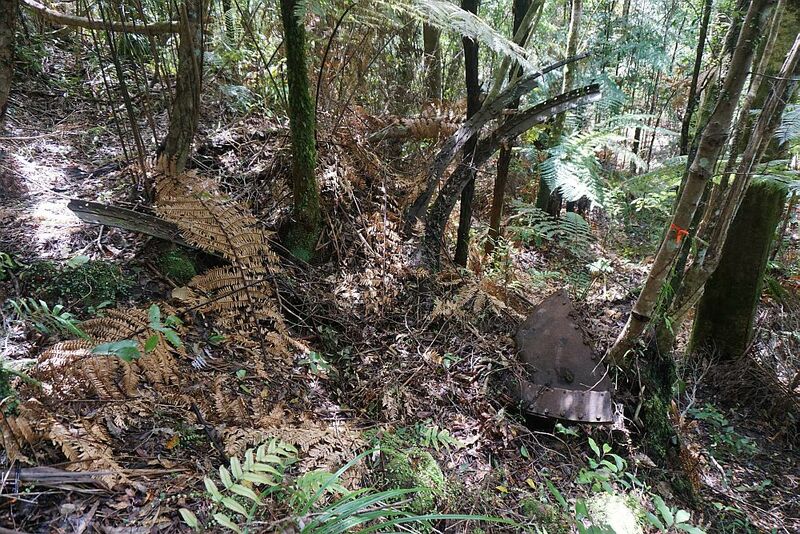 Some of the only remains of Fergurson’s Battery, some rusty steel framing, presumably from a steel tank. The tramline supplying ore to the New Era Battery ran down the hillside through a few cuttings which are still visible, but now overgrown. There are no signs of any remaining tram tracks. The High Level Pack Track crosses over the upper end of Butlers Incline. The head of the incline is at the brighter spot at the top centre of the photo. Butlers Incline and the rest of the Piako County Tramway is the subject of a future blog entry. Several small streams and waterfalls are also visible on the High Level Pack Track. View from the head of the Fern Spur Incline, the lowest of the three inclines on the Piako County Tramway. Part of the reconstructed incline is visible at the lower centre edge of the photo. The Waiorongomai township was located next to the stream visible just above the tramway. The carpark and the location of Waiorongomai township. A brick chimney just above the vehicles in the carpark is one of the few visible remains of the once-busy and bustling township of about 100 houses, a hotel or two, and several stores. All the buildings were removed in the 1920’s. The walk was done on October 11, 2014, as well as several previous occasions. Total distance about 9km, and total time 3.5 hours. The GPS tracklog shows the walk on the main tracks, but not on the side tracks. 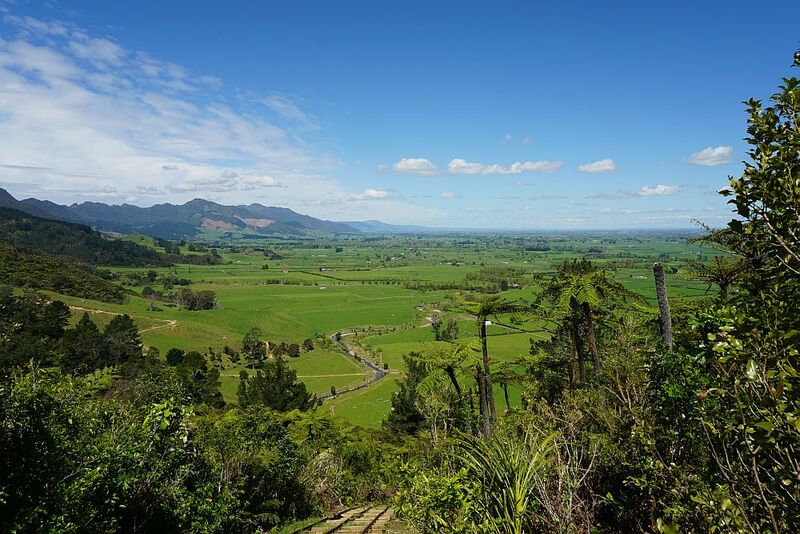 GPS tracking is not always reliable in the valley, partly due to tree cover, and partly due to the steep hillsides and Mt Te Aroha blocking out the view of any satellites.